Available Colors: Black with Red, Lime Green, Royal Blue, Purple or Black, all with White and Gray Trim. Multi-Colored Imprint: One Color included in price, 3 additional colors at $1.00 per color, per piece. Shipping Weight: 50 per carton @ 28 lbs. Customized Advantage Tote Bag Item #HT-3189 is Promotional with your business logo for advertising to clients. 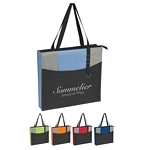 Customized Advantage Tote Bag and other Promotional Tote Bags are decorated with No Setup Fees. 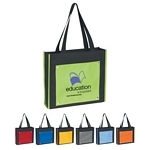 Customized Expo Tote Bag Item #HT-3196 is Promotional with your business logo for advertising to clients. 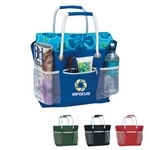 Customized Expo Tote Bag and other Promotional Tote Bags are decorated with No Setup Fees. Customized Soft Mesh Polyester Tote Bag Item #HT-3190 (Minimum Order: 50). 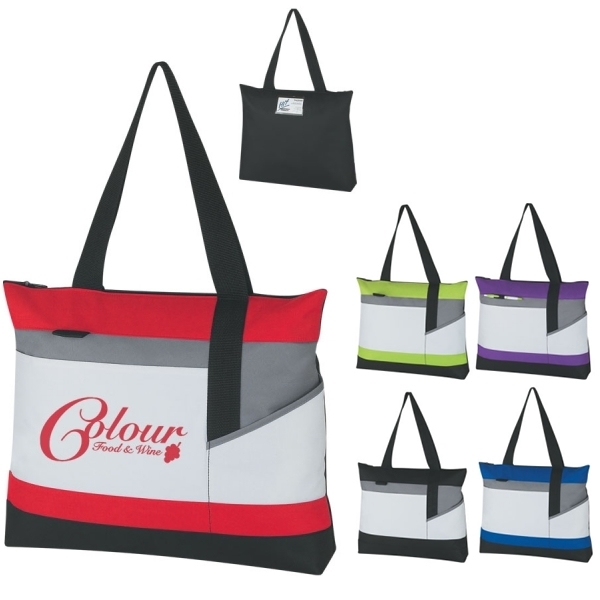 Promotional Tote Bags like the Soft Mesh Polyester Tote Bag can be personalized with your business logo and with No Setup Fees. Customized Rope-a-Tote Nylon Beach Tote Bag with Pockets Item #HT-3192 (Minimum Order: 50). 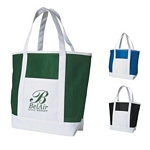 Promotional Customized Tote Bags can be personalized with your business logo. Our Promotional Tote Bags are decorated with No Setup Fees. Customized Contempo Tote Bag Screen Printed Item #HT-3194S (Minimum Order: 100). Promotional Tote Bags like the Contempo Tote Bag Screen Printed can be personalized with your business logo and with No Setup Fees.